i. Economic Trends Impacting the Retail Landscape: An analysis of the economic trends that impact the retail sector including: unemployment, consumer confidence, personal savings rates, the stock market and other measurements. ii. The Creditntell Retail Bellwether Index: The Creditntell Retail Bellwether Index tracks the sales trajectories of leading retailers such as Walmart, Target, Home Depot, Kroger, Amazon, Costco, TJX Companies, and others as a means to analyzing the broader trends across the retail industry. iii. Growth in Online: Tracking the continued consumer migration to shopping online. iv. Spotlight Retailers: Analysis of high profile retailers such as Sears/Kmart, Toys R Us, Best Buy, Amazon, and hhgregg. v. Who’s Opening/Closing: A glimpse into which retailers are opening and closing locations, and the impact it is having on the competitive landscape. vi. Warning Signs of Troubled Companies: A review of how Creditntell analysts identify potential warning signs of troubled companies, using real life examples such as Sports Authority and Target Canada. A discussion on how vendors can leverage the capital markets in order to monitor credit risk. Join us for an informal reception with fellow credit professionals and key Riemer service providers. Learn more about essential resources, enjoy engaging conversations and meet new friends. McGillin’s Olde Ale House threw open its doors the year Lincoln was elected president. That’s shortly after the Liberty Bell cracked and long before ground was broken for Philadelphia City Hall. The beer taps have been flowing since 1860 — making it the oldest continuously operating tavern in Philadelphia and one of the oldest taverns in the country. The Travel Channel names McGillin’s one of the Best Irish Bars in the U.S. Come and join us for dinner and camaraderie at this wonderful, historic location! The year started with a series of crisis situations and every month there has been something to add to both the sense of panic and calm. Dr. Kuehl, author of the daily BIB newsletter, talks about; Where are we now? What does the rest of the year hold - more of the same turmoil or will see some real recovery before the year ends? Credit and Accounts Receivable Departments are major drivers in improving company financials by controlling risk and bad debt, and by collecting on outstanding debts. 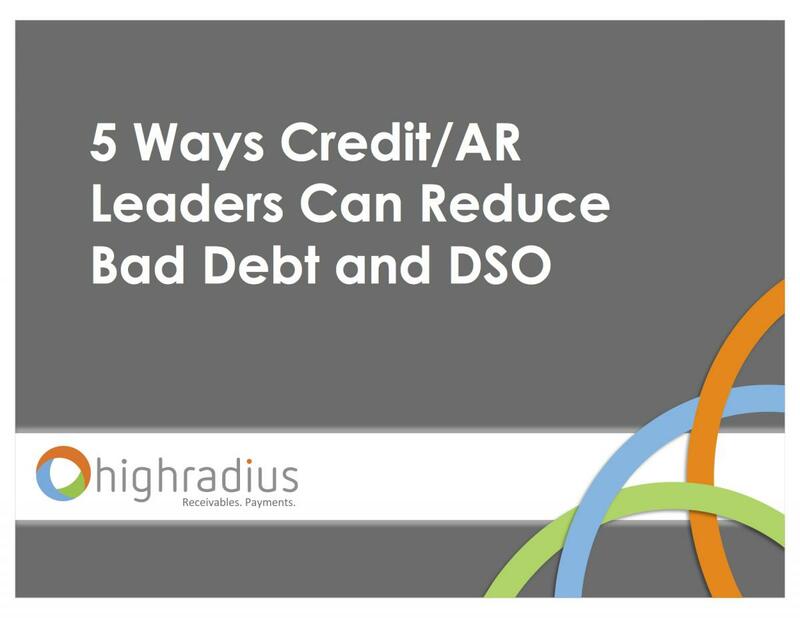 New technologies have enabled finance executives and credit and AR leaders to quickly empower these teams to achieve exponential improvement in performance, including strong reduction of DSO and virtual elimination of bad debt by realigning team resources and focusing them on making high impact decisions. This transformation has been enabled by new capabilities that have facilitated 90% automation in previously manual tasks. 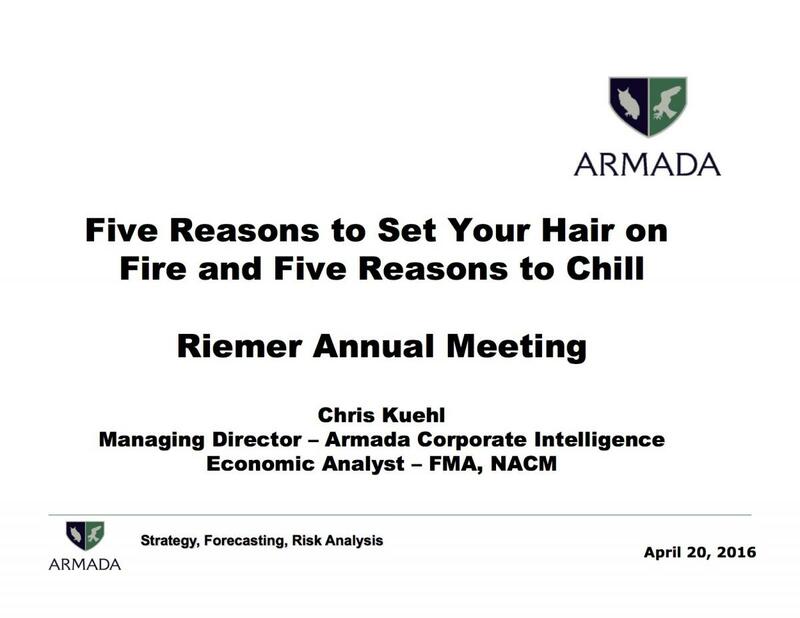 Bill Creim, Creim, Macias, Koenig, & Frey, LLP & Jim McConville, Allen, Maxwell & Silver, Inc.
Each attendee receives a detailed easy to follow handout of the materials to be covered. During this information packed session, Jessica Butler will share the results of Attain Consulting Group’s 2015 Customer Deduction Survey. Over 500 companies across more than a dozen industry groups responded to questions covering topics such as deductions as a percent of sales, recovery success and keys to overcoming challenges. Learn about the most current practices being used to manage deductions and hear the key differences across industries and company size. Jessica will provide attendees with additional tools they can use to evaluate and benchmark their deduction performance, including her Deduction Management Maturity Model as well as Attain’s Deduction Benchmark Online Assessment Tool. After entering 5-6 data points, this online assessment tool will automatically calculate a company’s performance against the 2015 survey benchmarks and provide improvement tips & suggestions. 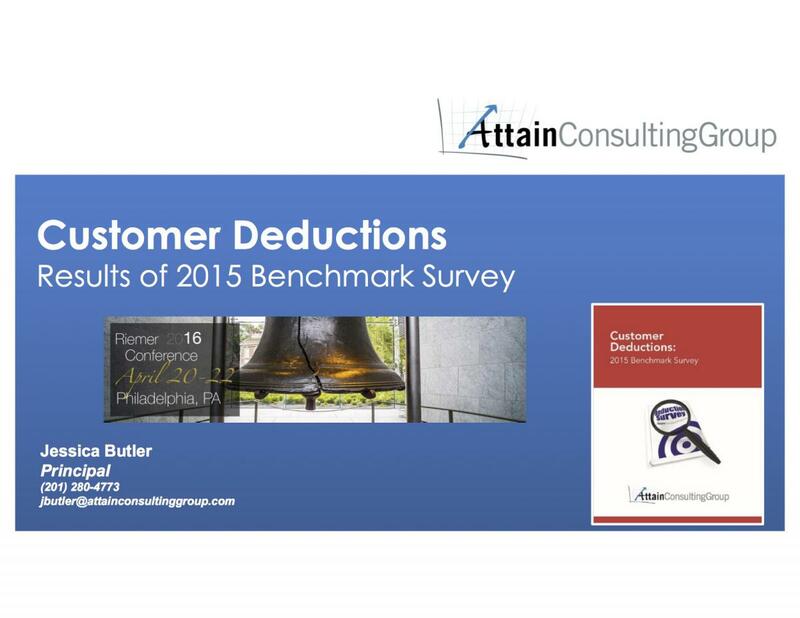 All attendees will receive a copy of the Customer Deductions: 2015 Benchmark Survey publication. 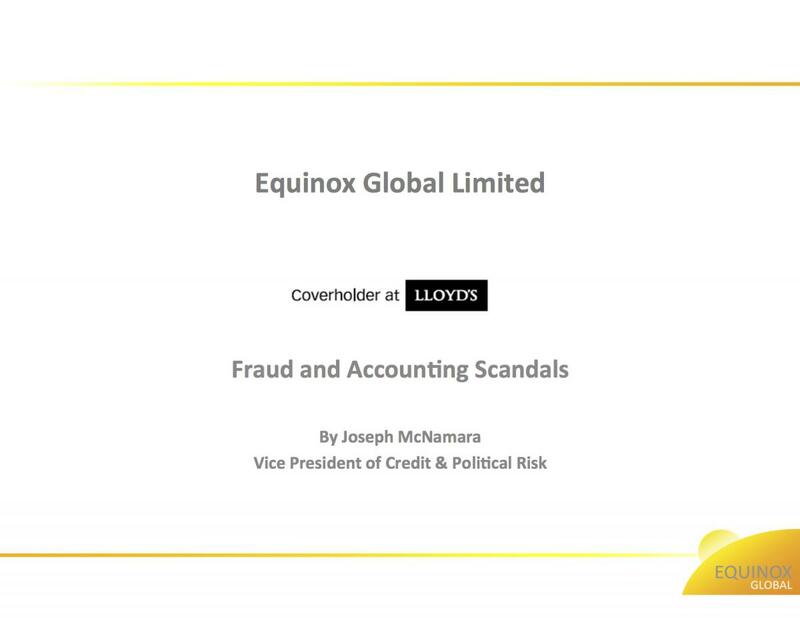 Joe McNamara, Equinox Global, Inc.
Over the last five years a significant proportion of big credit insurance losses have resulted from accounting irregularities. They are almost impossible to predict by any credit agency model or process and remain difficult to predict where they will strike next. Fraud does not discriminate. Improper revenue recognition is the most common type of fraud identified, followed closely by expense manipulation and improper disclosure at both bankrupt and non-bankrupt companies alike. We have sophisticated regulation in the US, such as Sarbanes-Oxley Act (SOX), passed in 2002, to protect shareholders and the public from account errors and fraudulent practices, yet none of the regulations and rules have stopped fraud occurring. The SEC’s push to step up its policing of accounting fraud has led to a surge of cases and investigations, new agency figures show an upturn, the SEC’s first year-over-year increase in such enforcement actions since 2007. In the last eighteen months alone we have seen a number of high profile cases notably the collapse of OW Bunker, one of the world’s largest marine fuel traders and Tesco PLC’s fall from grace. No matter the size or reputation of a company, it will have vulnerabilities; nothing is risk free and unanticipated and unpredictable failures or fraud can and do occur. "Historic District & City Tavern"
From the reception, transport will take us to Philadelphia's Historic District. Guides will walk us through the highlights of the Independence Mall area for views of the President's House, Independance Hall, Congress Hall, the Liberty Bell Pavillion, and several other colonial and revolutionary sites along the way. Dinner will be at famous City Tavern. City Tavern’s cuisine is made fresh daily from scratch with local ingredients. There is no other place in the world where you can experience authentic 18th century American culinary history. 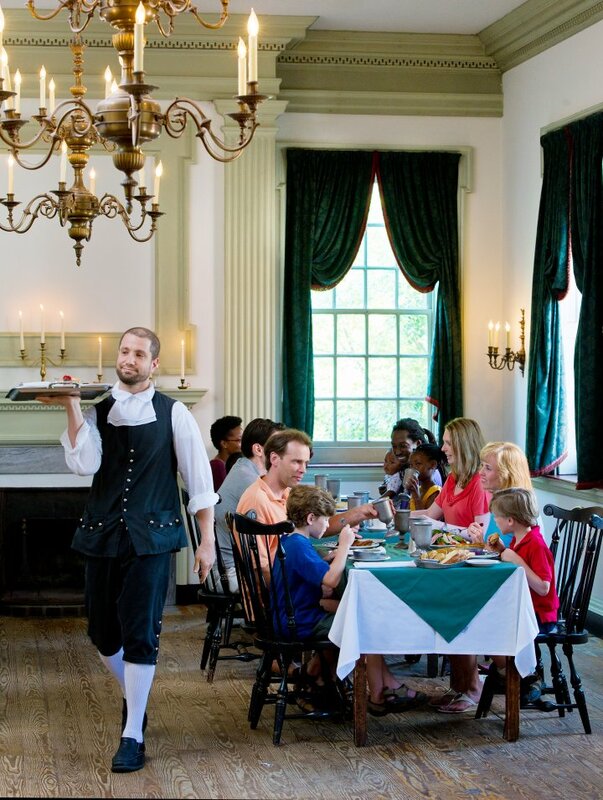 Just as the founding fathers dined on elegant, sophisticated cuisine at City Tavern, so will you. Come and join us for this unique dining experience! 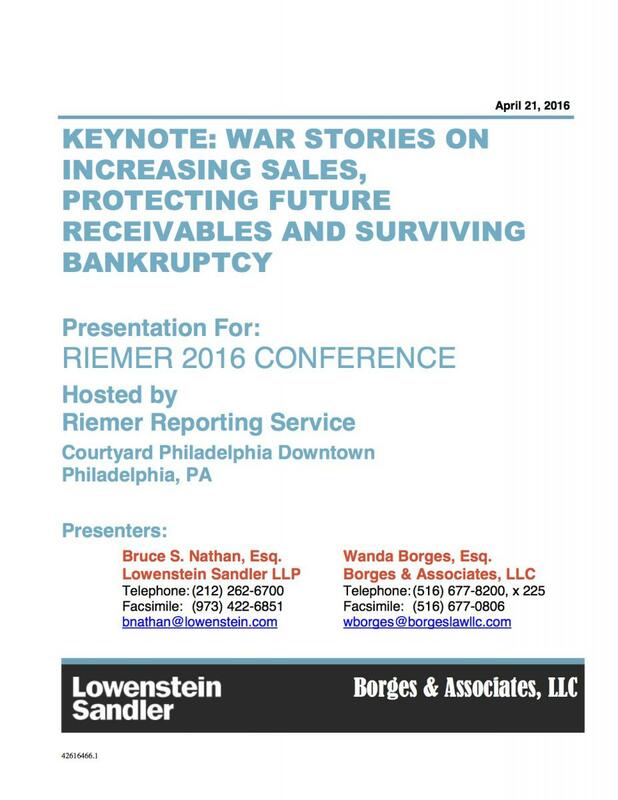 Founded in 1965, RiemerPlus, formerly Riemer Reporting Service, is the nation's largest independent company devoted exclusively to business credit network services. 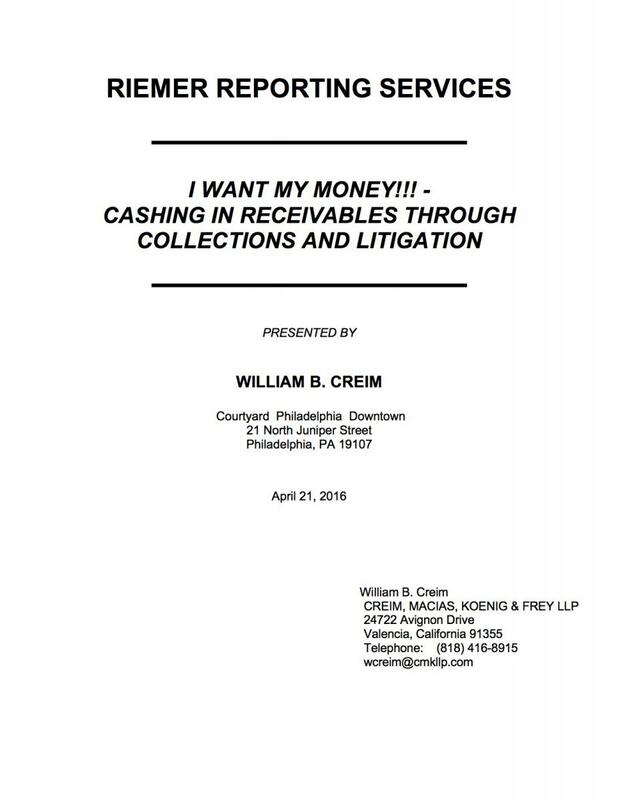 Copyright © 1997–2019 Riemer Reporting Service Inc. All rights reserved.